Introduced at the 2018 New York International Auto Show, the 2019 Nissan Altima wasn’t just a slightly updated version of Nissan’s established and popular mid-size sedan. No, it was a complete overhaul and Canadian buyers specifically are the ones that will most benefit. That’s because of all the changes made to this new-generation Nissan Altima, the addition of available all-wheel drive will probably have the most significant benefits for buyers here. 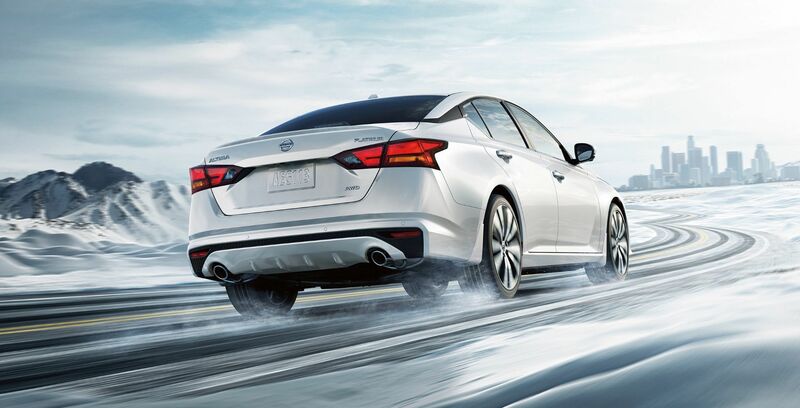 You can now conquer an icy, snowy road as easily as you will take on the highway and the city in the 2019 Altima. The 2019 Nissan Altima features a range of active safety technologies starting with the advanced Nissan Safety Shield 360 system which launched in the 2019 Rogue. The Altima is the second Nissan model to include this very useful and advanced safety technology that includes Intelligent Emergency Braking with Pedestrian Detection, Rear Intelligent Emergency Braking, Lane Departure Warning (LDW), radar-based Blind Spot Warning (BSW), Rear Cross Traffic Alert (RCTA) and High Beam Assist (HBA). 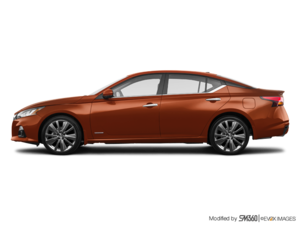 Starting at $27,998, the 2019 Altima features Apple CarPlay and Android Auto at no extra cost as well as Forward Intelligent Collision Warning and Nissan’s innovative Rear Door Alert system. 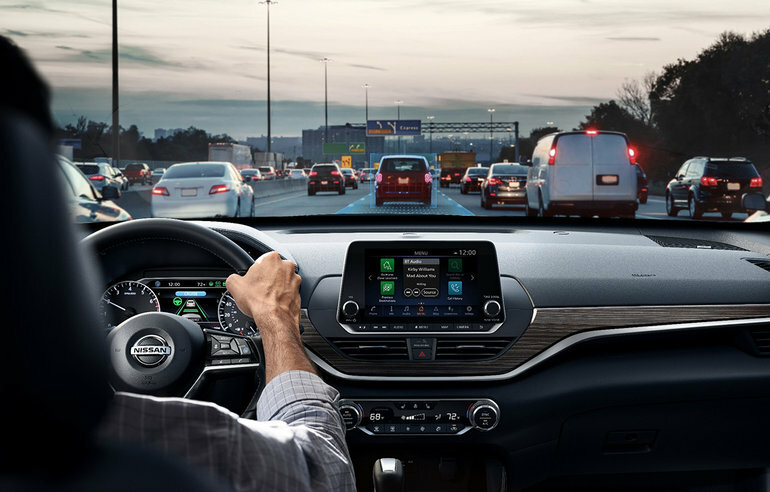 Rounding out the safety technology offering featured in the new Altima is Nissan’s ProPILOT ASSIST system that provides the very best active safety you can get in a mid-size sedan. ProPILOT will keep you straight and headed in the right direction on the highway while automatically braking for potential dangers if you’re distracted. The 2019 Nissan Altima is offered in four trims and uses a 2.5-litre, four-cylinder engine with direct injection and 182 horsepower and 178 pound-feet of torque. More powerful, this engine is also more fuel-efficient than the previous engine found in the last Altima. On the road, the 2019 Altima is poised, refined, comfortable and fun to drive all at once. It’s more spacious and quieter as well. If you’re in the market for a midsize sedan that has all of the features of a luxury vehicle at a price that will fit your budget, check out the 2019 Nissan Altima today. As you can see, there’s a lot to love about the 2019 Altima. When compared with the Accord, the first thing that stands out is the all-wheel-drive system. The Accord is only offered in front-wheel drive configuration. When the road gets slippery or you’re trying to get up a hill covered in snow, all-wheel drive is your most effective weapon. With all four wheels getting power, driving in a snowstorm is a breeze and for buyers in Canada, it’s almost a must. If you want to take the fear out of driving in winter, the Altima is the way to go. Both the 2019 Accord and 2019 Altima are spacious, but the Altima gets the advantage when it comes to comfort with a quieter cabin and more interior space. The trunk is more versatile in the Nissan as well. Finally, Nissan’s ProPILOT ASSIST system is closely related to many of the advanced active safety features found in modern luxury German vehicles like Mercedes-Benz. The Accord has good safety features as well with Honda Sensing, but the Altima outshines its rival in terms of overall active safety features offered and their effectiveness. Come in today and discover the all-new 2019 Nissan Altima and how it stacks up against the 2019 Honda Accord.